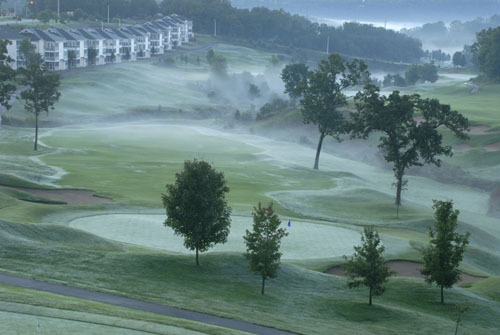 A luxury hotel and golf resort conveniently located in the heart of Branson and only 6 miles from Table Rock Lake, Thousand Hills Condos & Golf Resort offers luxurious condominiums in an ideal location. Guests can enjoy one-, two- or three-bedroom accommodations with fully equipped kitchens, separated spaces, and balconies or patios, plus amenities like seven pools, a tennis court, a fitness center, and more. Resort on Golf Course with other amenities including indoor and outdoor pools, tennis court and fitness centers. Close to shopping, dining and the shows. Condominiums feature a bathroom for every bedroom and either a patio or a balcony. Price Shopper and Wal-Mart are just about a mile away. Only 3.2 miles from Branson and 6.1 miles from Table Rock Lake. Luxurious condominiums featuring a bathroom for every bedroom, fully equipped kitchen, dining room, living room and patio or balcony. The balconies and patios may be open, screened or glassed in. 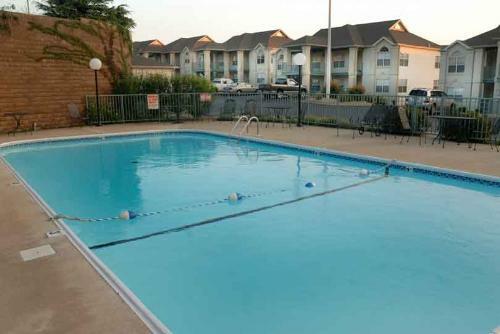 Thousand Hills offers a wide array of accommodations, amenities, and services; including 7 Pools (In and Outdoor), Tennis Court, Fitness Center, Elevator Access, Free Parking & a City-Center Branson Location. The award winning 18-hole golf course is available at guest rates. Condominium Sizes include 1, 2 & 3 Bedroom Floor plans, King Size Beds, whirlpool jetted tubs, Private Enclosed Patios, TV's & DVD's, Washer and Dryers, Sofa Sleepers, Iron and Ironing Boards, All Major Appliances, Complimentary Coffee, Full Bath Amenities, and AM/FM Alarm Clock Radios. Thousand Hills Golf & Conference Center offers three banquet rooms perfect for reunions, meetings or seminars. Each meeting room has complimentary high speed internet service, conference phones, the latest audio/visual equipment and patio offering a tranquil setting for lunch. After hour arrivals (10pm) should call the toll free number on the front door for instructions on how to access your keys and directions. 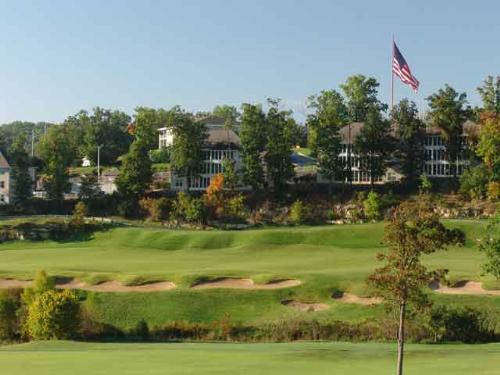 How many condominiums are available at the Thousand Hills Golf Resort? There are 8 different buildings that house the condominium units. How many adjoining rooms are available? There are approximately 20 2 bedroom lock-out suites, which are two single units that lock into a two bedroom condo unit. 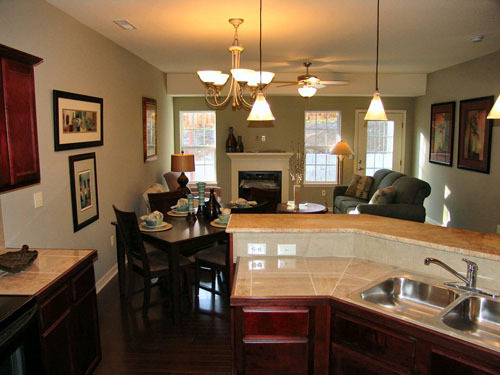 However, arranging guests so that there condos can be grouped together is also not a problem. 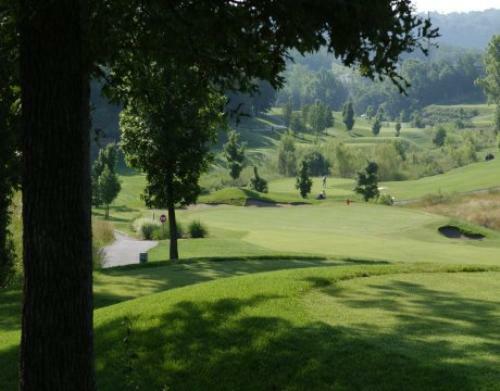 What is the cost to guests to play golf at Thousand Hills? Guests receive a discounted rate on golf. In the winter & spring, the rate is $39. In the summer, the rate is $49. Do you have a restaurant, eatery or lounge on-site? There is a snack bar for the Thousand Hills Golf Course available. Are the Thousand Hills Condominiums located on the lake? No. 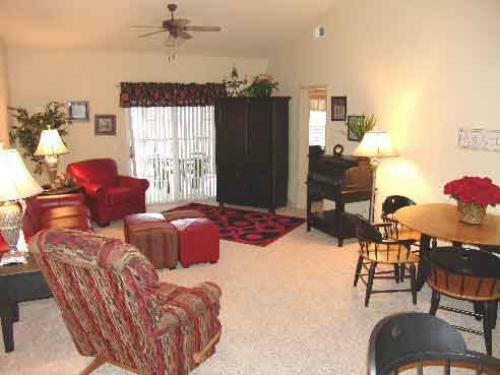 They are conveniently located in the heart of Branson and only 6 miles from Table Rock Lake. If you’re looking to stay on the lake, we suggest the sister property, The Majestic at Table Rock. No. All fees are included in the rental rate. What is the charge for cribs or rollaways? Rollaways are not available. Cribs are available at no extra charge. 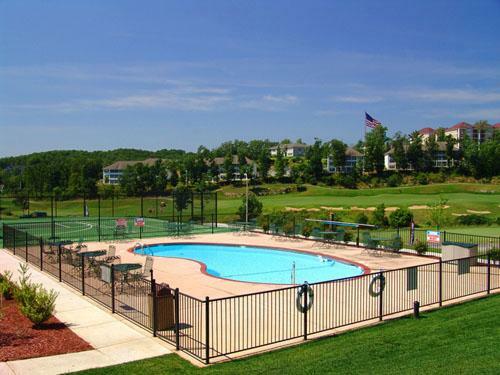 What are the pool hours at Thousand Hills Condominium Resort? The pool is open from 8am-Midnight. The hours do vary by season, but there are a total of 7 pools on-site. Free parking is available near each room. Yes, after hours check-in is available.